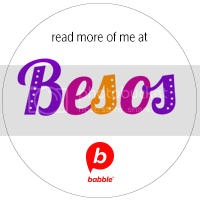 In their search for high quality Spanish classes for their own children, two accomplished Latina mothers founded Isabella & Ferdinand Spanish Language Adventures. 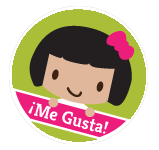 Their innovative Spanish language-learning program for children includes the exciting CD-Olé and Play! Songs from Isabella & Ferdinand Spanish Language Adventures. 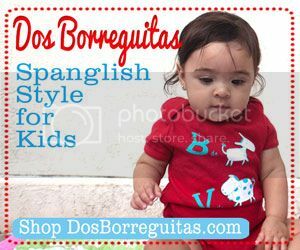 The music is fabulous and is a great way to introduce your child to Spanish and the cultures of Spanish speaking countries. Produced by Grammy and Multiple Latin Grammy award winner Andres Castro, and sung by Latin Grammy-nominated Colombian vocalist Adriana Lucia, this CD will be one that both you and your children will enjoy. I absolutely love this CD! Not only is the music wonderful to listen to, but the lyrics are so educational. A variety of cultural topics are covered including: Columbus and his voyage to the Americas, artists such as Velázquez, Picasso, Botero, Frida Kahlo, and Diego Rivera, and even Cervantes is introduced in a song about Don Quijote. To be honest, I was skeptical that music could teach my children culture, but I am amazed by what they have learned by listening to this CD. They both love singing the chorus, pinta, pinta, pinta Velázquez. To further their learning from the music, I showed them a print of Velazquez’s Las Meninas and explained the art to them, pointing out that the painter Velázquez from the song was the person who actually painted the picture we were looking at. I was also stunned this weekend when my elder son asked me to play the song about el caballero. The song about Don Quijote is now his favorite. Seeing that I don’t use the word caballero all that often when speaking to my children, I was convinced that this CD is teaching them Spanish and culture. 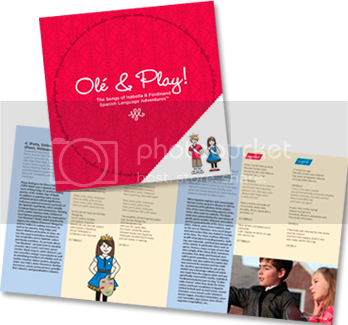 For a fun CD to teach your children Spanish and culture, I highly recommend Olé and Play. It is guaranteed to become a favorite of the entire family. This giveaway is now closed. Congratulations to the winners: Diana, Sandy, Kim, Daniel, and Natalie! We’re giving away a Olé and Play! CD to FIVE lucky winners. For your chance to win just tell us how you use music in your kid´s daily life. This giveaway ends at midnight EST on Sunday, June 5, 2011. Entries/Comments that do not follow the submission guidelines will be invalid and automatically deleted. Sorry, just need to keep it fair. Good luck to all! My son and I listen to music together to enhance his learning and love for the Spanish language and to have fun! I think it’s important to expose him to music that’s not just educational but that we want to listen to over and over again! Thanks for the chance to win what sounds like an awesome CD! Wow, I am really impressed by the song! I am not yet a mother, but this would be perfect for my classroom until I am. My husband and I plan to speak Spanish at home once we have children, and it would be great to have catchy little tunes that teach some of the culture that I may never think of, living in rural Ohio. Kudos to the Isabella and Ferdinand team! Wow, I’m really impressed by this. Very educational, exposing children to Spanish culture and history and something they could rock out to too! If I don’t win this I’m definitely buying it. Music is such an intrinsic part of our everyday lives. Lately my daughter has been really into the Gypsy Kings and that flamenco Spanish guitar thing. We use music as a way of learning and having fun. I play CDs with music in Spanish in the car, so my son can sing along and practice his words. We use music all the time, both for education and entertainment. I sing to my daughter in Spanish (I also speak to her in Spanish exclusively), and it’s a great way for her to learn about animals, colors, etc. We also use it to reinforce her English/Spanish language skills, as we sing the ABC’s, Itsy Bitsy Spider and Wheels on the Bus in both languages. Additionally, we also dance to fun music (like reggaeton, salsa, cumbias, rock en espanol, etc) ; because that’s also part of our culture! She’s 7 months old, and music is an integral part of our daily lives, she loves her songs, and we’d love to this wonderful CD to our selection! We are a music family! Ryland has been listening to music since he was in the womb. “Rock-abye-Baby” CDs were playing when he was born and many times after. There is always music of one variety or another filling the house and being enjoyed by his little ears. We are an equal music opportunity family and so we listen to many different types of music. he can choose his fav later, but as of this minute…he just loves it all, as do I! This giveaway would be the perfect addition to our household! We would treaure it and it will help to shape and mold his appreciation for the Arts. Please include us in this fantastic drawing! We sing and dance to all kinds of music at our house. My boys especially like to help me think of actions for vocab in Spanish songs to use in my classroom!! We sing everyday around here and listen to music any chance we can! I’m a bit music obsessed! My husband is a musician, so our whole life is a running musical. Now that the kids are enrolled in a DL school, we need to add more Spanish songs! I am a mother and Spanish teacher. My daughter is half Costa Rican(born in CR). We recently moved back to the U.S. We love music and have always been surrounded by beautiful, peaceful music in CR. I am always looking for new music to introduce to my daughter at home as well as my students(I teach in a suburb where the children have not been exposed much to different cultures). I love singing a song in English with my students and daughter and then teaching the Spanish version. We love singing “Twinkle Twinkle/Estrellita”, “The little chicks/Los Pollitos” and “5 little monkeys/Cinco monitos” bilingually. I would love to have this CD to use at school as well as at home with my daughter. We listen to music and sing every day together. To help with learning Spanish, the car is our Spanish music zone. I think listening to all the kids music in Spanish has helped me too! My boys listen to music at home and in the car. Sometimes it’s educational, but it’s always for fun. My son is six months old and we’re committed to raising him bilingual (we’re using the OPOL method). I’m always looking for music/literature. I play the music for him during his bathtime and I sing to him. My most favorite part of the day! My son loves to listen to music and sing songs. We sing songs outside while I am pushing him on the swing set. He loves the song “Jesus is My Superhero” and sings it to complete strangers in restaurants. We sing while walking, on the subway and bus, in the car, while preparing meals… and lullabies – spanish and english – are always how we end each day. Like the beating of our hearts, music is essential! What a fun song! My older son was born in Spain and LOVES knights! We listen to music (Spanish and English) in the car, while playing legos, and dancing around in the basement playroom on rainy or snowy days. I’d love to find some new Spanish favorites, but we’ve really enjoyed the Philadelphia Chickens and Dog Train CDs and books from Sandra Boynton in English. We use music every day in our home! Sometimes if my kids start fighting, instead of talking to them, I just start singing a church song and sometimes they stop! We also sign songs to remember information we are learning, like skip counting math songs, etc. Thanks for the giveaway! My daughter and I play with her musical instruments. Little drums and tamborines…we love to have a “marching band” and we march all over the house playing our instruments. We love music! ¡A mis hijos les encanta a bailar! We Haveman a weekly (sometimes more often) pizza party night for which we play music while making the pizza. On the days my husband is home and I’m at work all day, he will play Spanish music for a Spanish hour mid-day. We also love to sing all sorts of songs throughout the day. As mentioned by others, it is wonderful for mrmorization too. Escuchamos y cantamos de todo en nuestra casa–desde Baby Beluga de Raffi hasta VeggieTales. Inclusive música no específicamente para niños. “Let each one of us build bridges rather than barriers, openness rather than walls. Earlier today, the Norwegian Nobel Committee declared Liu Xiaobo the winner of the 2010 Nobel Peace Prize. The founder of Isabella and Ferdinand Pilar O’Leary was exposed in every major newspaper for record breaking expense account abuse. Check out “Driving Miss Pilar” on Google. The founder of Isabella and Ferdinand Pilar O’Leary was exposed in every major newspaper for record breaking expense account abuse. Check out “Driving Miss Pilar”. 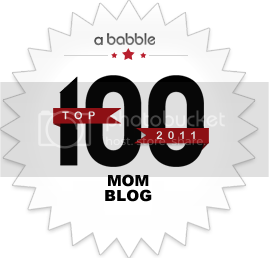 Giveaway |SpanglishBaby™. You’ll laugh out loud right before anyone re-think your entire existence. mucking concerning in it. What’s more, it offers the brilliant Records with Get away, one of our all-time favorites. Look up Pilar O’Leary on google. She is a dishonest individual. She scammed her government job with record breaking expense account abuse. read articles or reviews, however this website provides quality based posts.